One circular glazed blue and ceramic bowl with a shallow base. 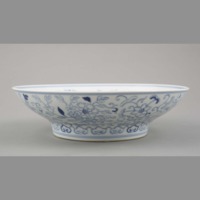 Bowl exterior presents serpentine botanical design. 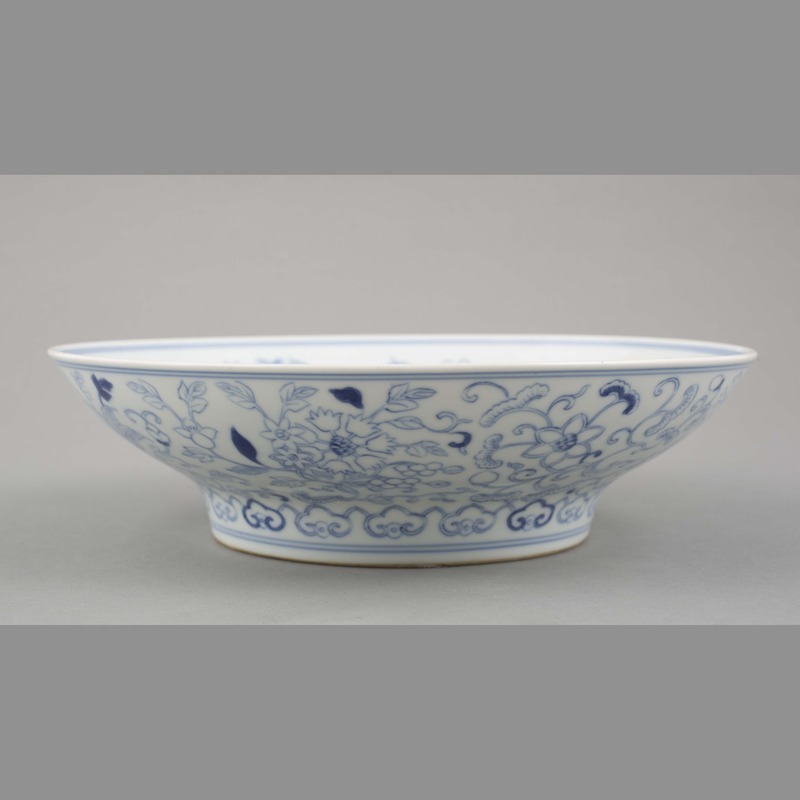 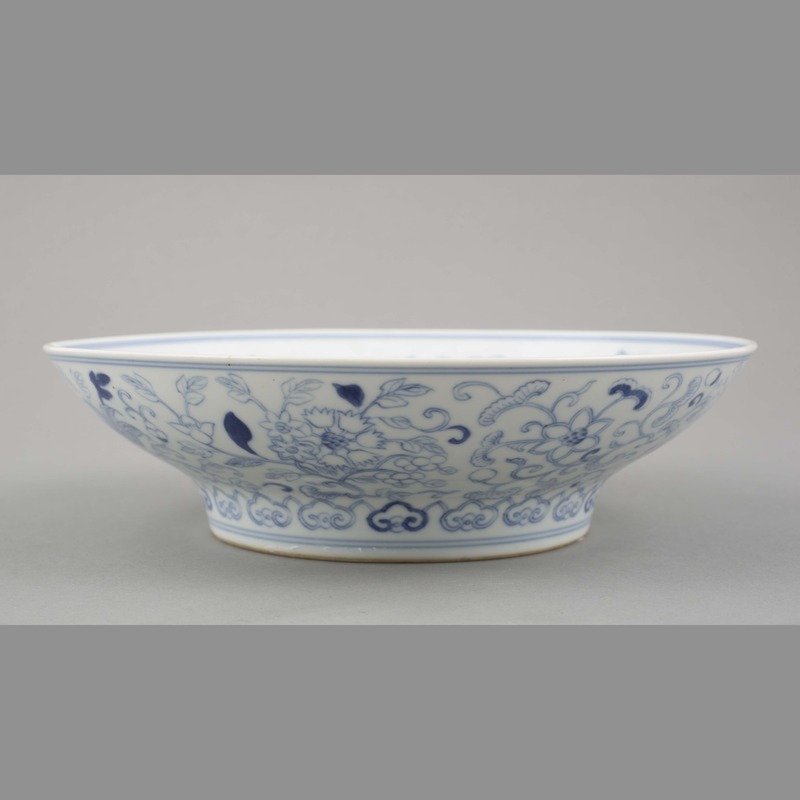 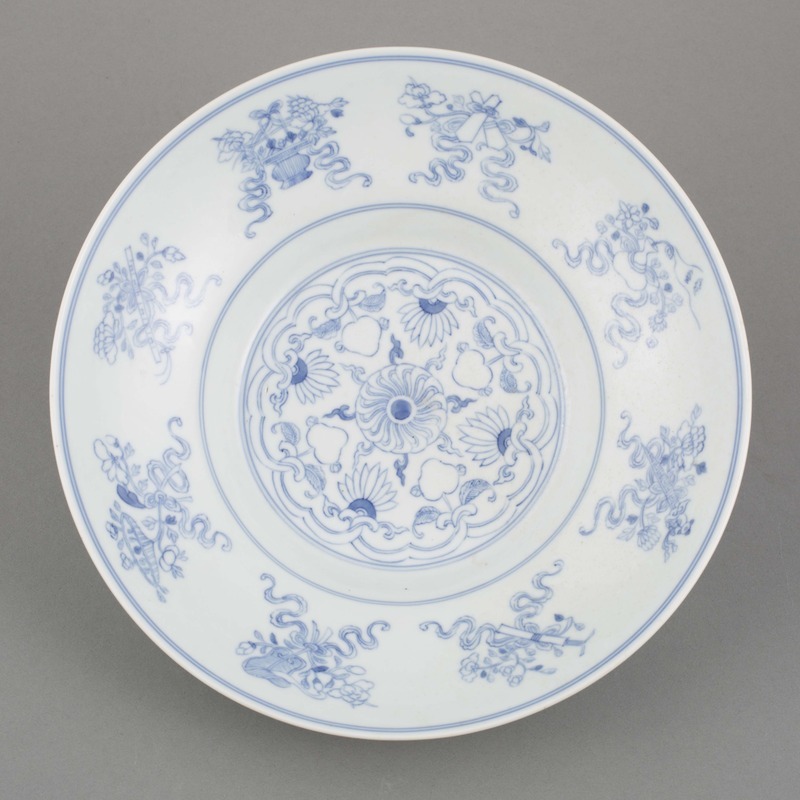 Bowl interior presents eight serpentine motifs bordering similarly curvilinear botanical pattern on the base. 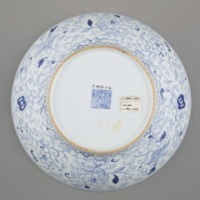 Underside of base of bowl exhibits mark of Qianlong Emperor (1736-1796). 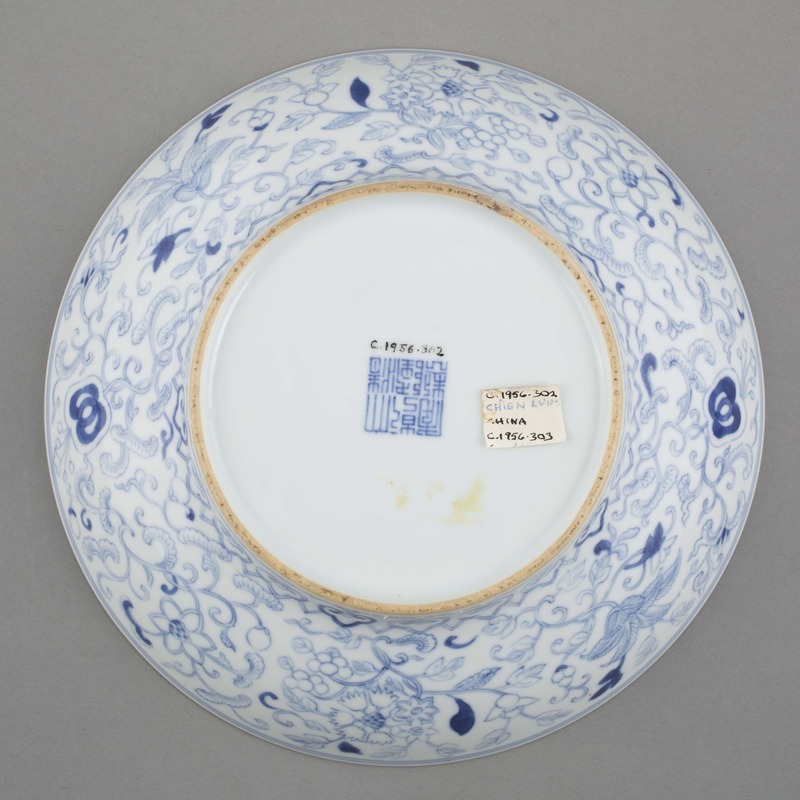 Part of collection Alley gave to Canterbury Museum during Museum director Roger Duff's trip to China in 1956. 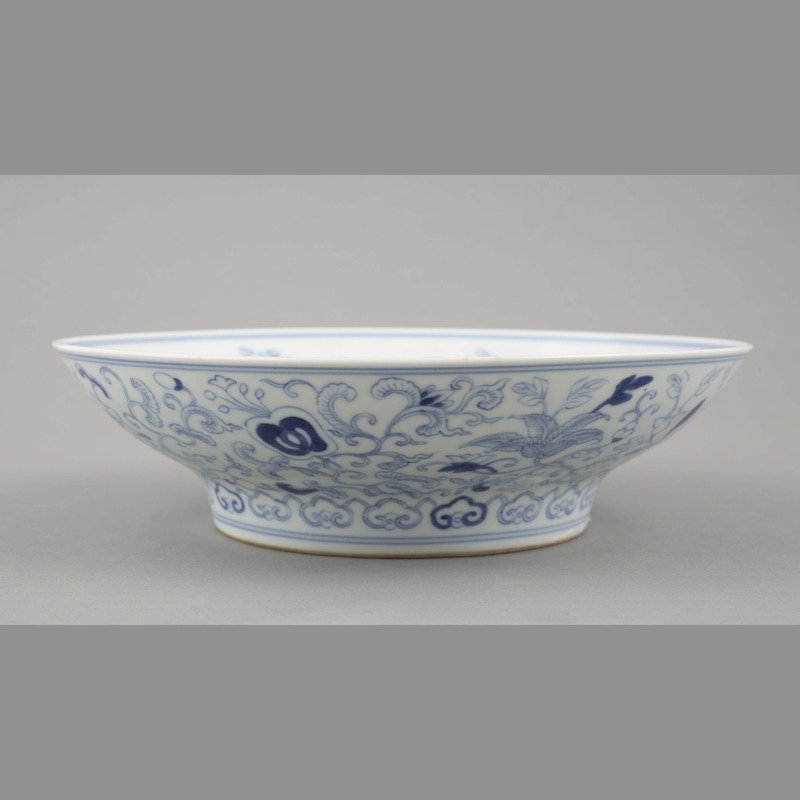 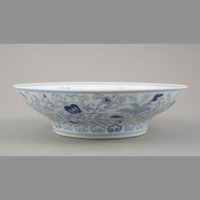 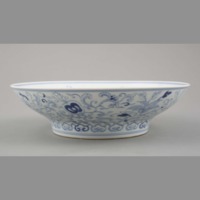 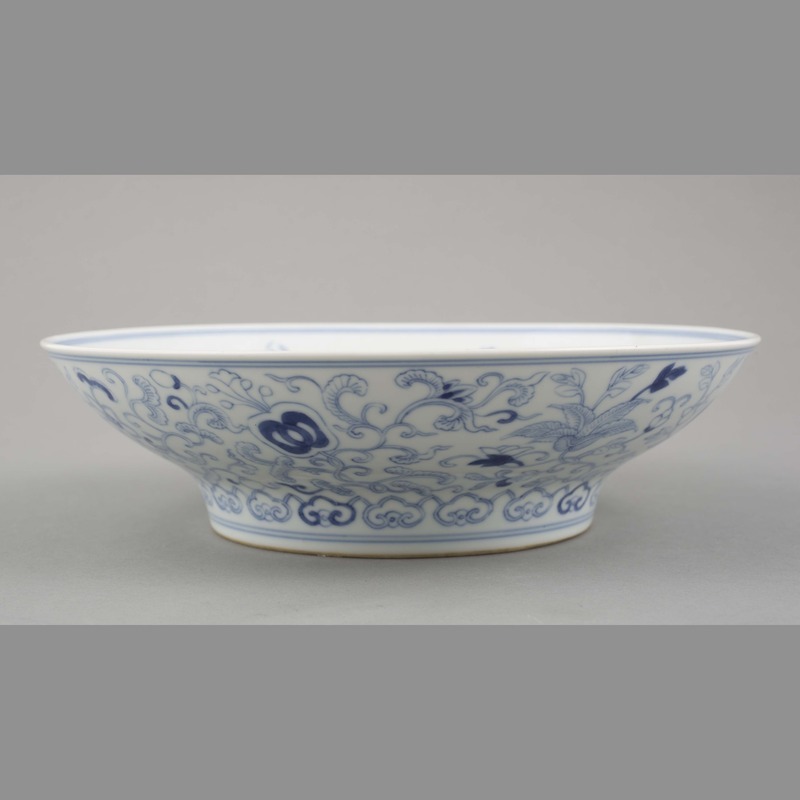 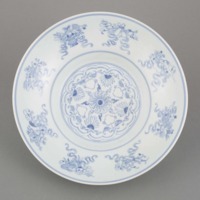 “Ceramic: bowl,” China, Art and Cultural Diplomacy, accessed April 22, 2019, http://rewialleyart.nz/items/show/1093.